On Friday, numerous news reports indicated President Trump intends to nominate Scott Gottlieb to head the FDA. 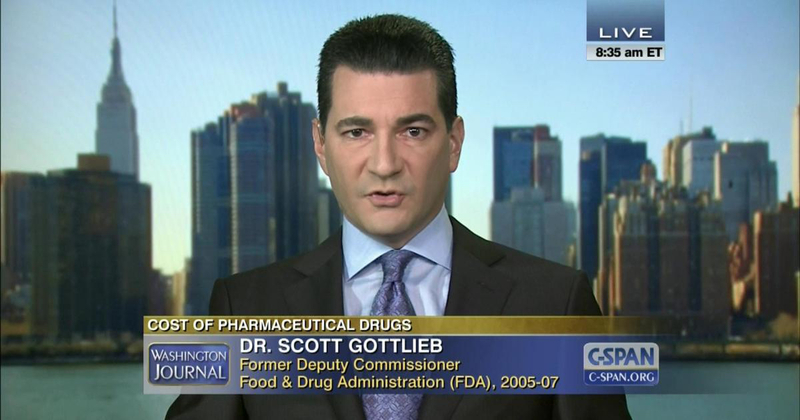 Gottlieb, a doctor, worked at the FDA during President George W. Bush’s administration in deputy roles and is a fellow with the conservative American Enterprise Institute. Since the FDA was granted authority to regulate tobacco in 2009, and in 2014 moved to exercise its authority to regulate cigars, the position of FDA commissioner has taken increasing importance to the handmade cigar industry. Opponents of Gottlieb are expected to highlight his ties to the the pharmaceutical industry, though his criticisms of the FDA’s oversight of tobacco are also likely to become an issue during his confirmation hearings. It always seemed a naïve aspiration—that FDA would ever sanction such products—and even more uncertain that the anti-tobacco crowd would let this paradigm advance. Now, each side’s ambitions (and the law’s spirit) are being tested. The tobacco industry’s critics are trying to impede a critical first step that FDA must take in creating that new regulatory architecture. The ability to fulfill all of the law’s goals is on the line. Proponents of the legislation, after all, admittedly supported it as a vehicle to squeeze tobacco firms under the weight of FDA regulation. Their stated aim was always the dismantling these firms. Whatever the FDA does, the fight reveals a broader trend of expanding the scope of regulation to cover areas never envisioned by Congress. Regulators often prefer to enlarge their jurisdiction rather than tend to their chief obligations. Agencies like the FDA thus divert their attention from important but basic duties. For example, that 2009 tobacco law was crafted as a way to cut down on underage use of cigarettes. It was, in many respects, a forward-looking measure—envisioning that traditional cigarette makers would gradually transition to developing and marketing smokeless-tobacco products that don’t pose the same health hazards as cigarettes. But the FDA has been loath to accept that alternative tobacco products could pose a lower health risk than cigarettes. Under the law, it should be examining the relative hazards, rather than spending its energies seeking to expand its powers. In part because of his writings on FDA tobacco regulations, cigar industry groups have already come out in support of Gottlieb. “We think it’s a very good choice that the president made,” said Craig Williamson, president of the Cigar Association of America, which represents cigar manufacturers. “2017 is a critical turning point with Congress and the administration, and these new appointments present a unique opportunity to have discussions and to facilitate actions that can work toward protecting the premium cigar industry from the proposed regulations that can clearly have a detrimental impact on this artisan industry that does not deserve the treatment that has been advanced by the FDA,” Loope continued. If he is approved — and criticisms aside, I doubt Congress will use political capital to block him – would he have the ability to change the FDA’s plans for premium cigars, e cigs, etc.? Or is that under the heath/human services secretary? My view is any big moves (cancelling the rule) are going to need the nod from the White House of HHS. But smaller changes in how the rule is implemented, or delaying some deadlines are the type of thing you might see from the head of the FDA. The bigger issue is that there are lots of things he’ll want to focus on as FDA Commissioner, and realistically cigars may not be a top priority.